Love Nintendo's NES Classic Mini, but pining for the one missing game from your childhood that's not part of the package's 30 included titles? Then you may want to look into this fresh hack for the system. The GBATemp forum's emulation expert Cluster has updated the Hakchi NES Classic Mini hacking tool. And with Hakchi version 2.11, it's now possible to put more than 700 titles on the machine. It's a staggering number squeezed onto the console's small 300MB storage. To put that into perspective, it's now essentially possible to put every North American NES game, ever, onto the machine. 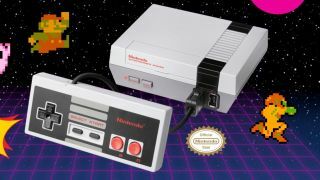 Of course it's worth pointing out that tampering with the NES Classic Mini in this way will void its warranty, and the legalities of emulating are murky too (even if it's Nintendo's own method with the machine). But for those willing to take the plunge, it's an exciting prospect. The new Hakchi creates a folder system for the console that lets it handle a much larger number of games, as well as handling ZIP rom files to maximize the storage space. According to the modding community around the machine, a few titles still have difficulties on the machine, including the classic Battletoads. But it's an active group tinkering away, so expect to see fixes before long.